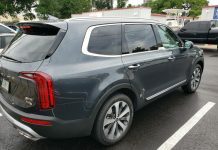 Chrome accents look great on some cars, but they are a decidedly poor fit for others. 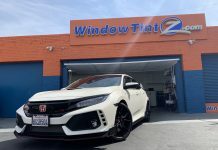 Fortunately, with chrome delete wrap, Window Tint Z can completely transform the look of your car’s chrome accents, and at minimal cost and with a quick turnaround time, too. 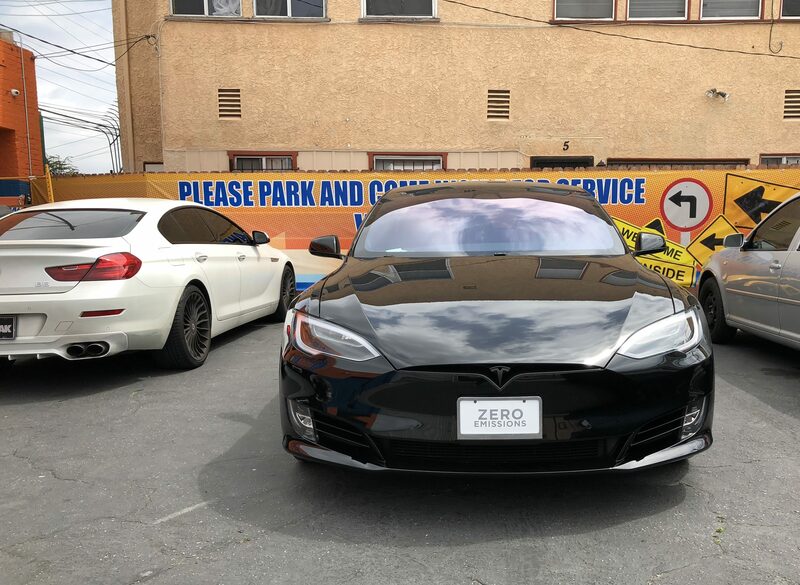 Chrome delete wrap for Teslas is particularly popular, as these handsome cars have multiple chrome accent pieces that many owners wish to make more subtle in appearance. 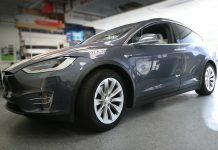 The contrast created by chrome blackout wrap for a white Tesla looks great, and de-chrome wrap adds style to other colors of Tesla vehicles as well. 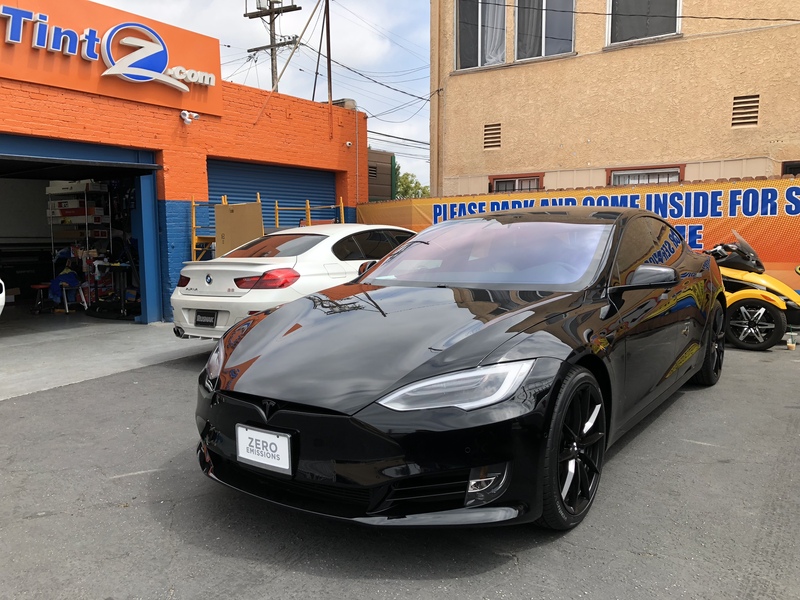 But perhaps the best use of chrome delete wrap for a Tesla is chrome delete vinyl for a black Tesla Model S.
Tesla chrome delete wrap makes these already striking cars all that much more appealing. 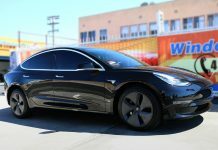 From the automaker logo on the hood to the unique inset doorhandles to the trim of the windows, a Tesla just looks better when its accents are black instead of the standard chrome. 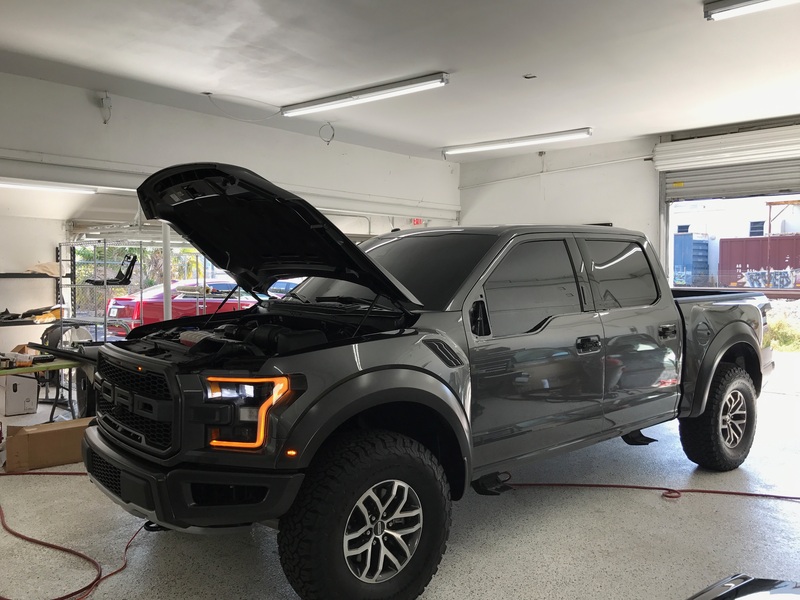 We have completed Tesla chrome delete installs for every model of Tesla vehicle, the Model S, Model X, and Model 3, and the owners have always been thrilled with the results. 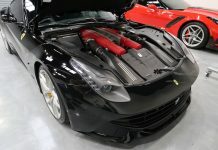 Perhaps best of all, de-chrome blackout wrap is completely removable, so in the event that a Tesla owner wanted to sell his or her car, it could be offered in its original condition. Window Tint Z recently completed this Tesla Model S chrome blackout project, and we were as happy with the results as the owner of the car. 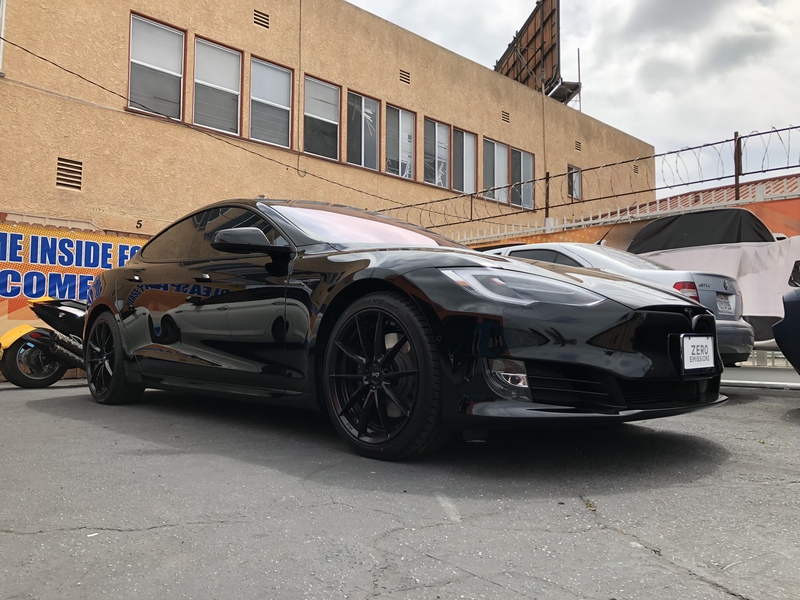 With the chrome accents of this Model S blacked out, the viewer can better appreciate the gorgeous lines and curves of the vehicle, and the automobile gained an understated elegance that lets it catch attention without being the least bit flashy or gaudy. 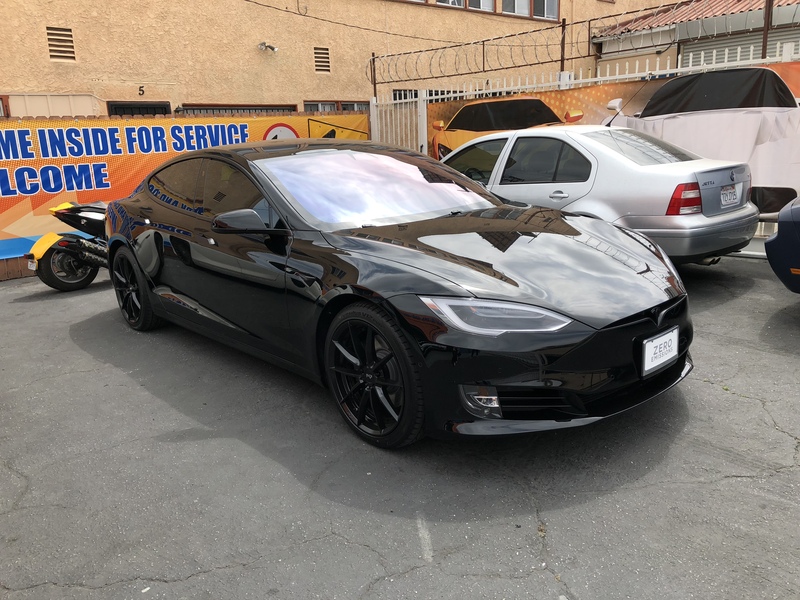 Converting the chrome accents of this black Tesla Model S with chrome delete wrap created a uniformity of appearance for the exterior of the car. 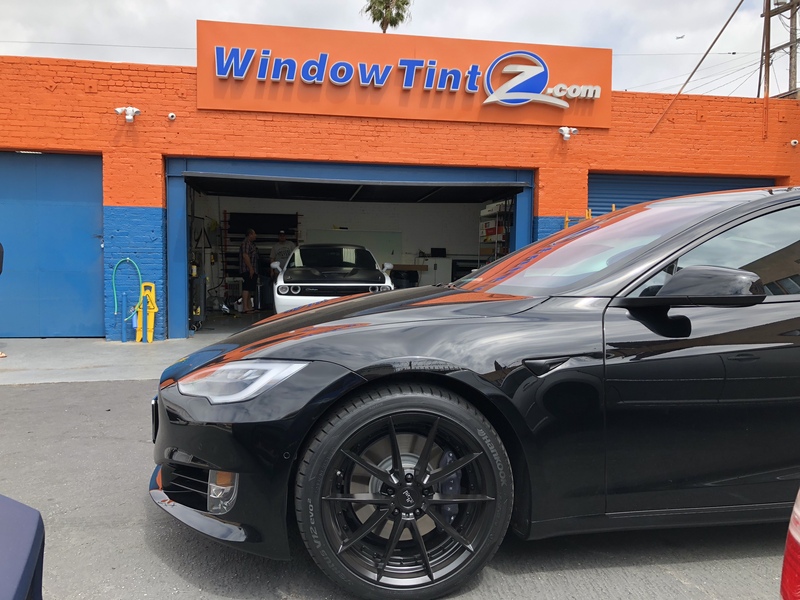 Working in concert with upgraded window tint, a Tesla Model S with black paint and chrome delete wrap applied to its trim and chrome accents gains a subtle yet memorable style that will be the envy of other fellow Tesla Model S drivers. 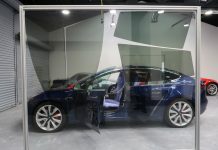 One of the most striking features of any Tesla vehicle is the flat, recessed doorhandles that pop out automatically when the driver or passengers approach the vehicle. 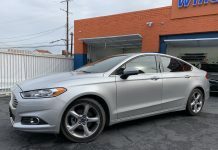 But though the function of these door handles is above reproach — they reduce drag wile the car is driving — some people don’t care for the look of the chrome panels set into the doors while the handles are inset. 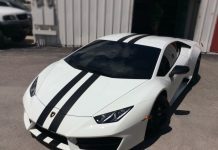 Tesla Model S chrome delete wrap for doorhandles will not alter the function of the hardware at all, but it will change the way the Tesla Model S doorhandles look, allowing them to blend in with the vehicle, especially if it has a black exterior. 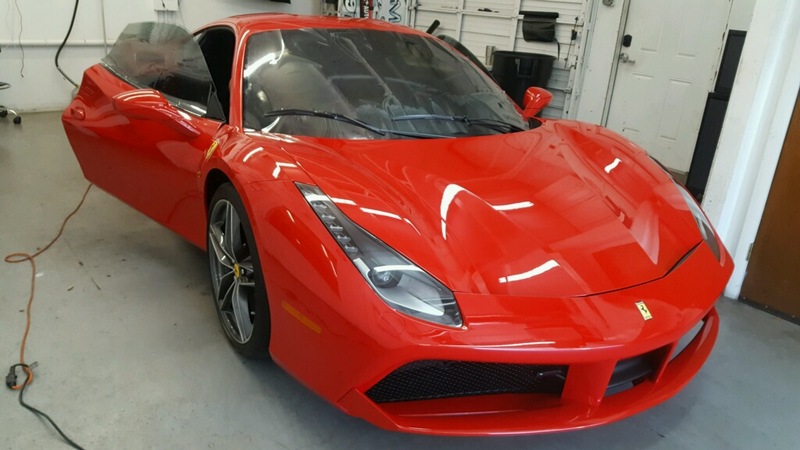 Window Tint Z offers competitive Tesla chrome delete price guarantees, and we also guarantee that our work will look great and last for years. If you only wish to black out the logos and chrome accents of our Tesla Model S, chrome delete costs will range in the low hundreds. For a complete Tesla chrome blackout film install, the price will be several hundred dollars and may approach $1000, but that will include complete chrome delete wrapping, including window trim, doorhandles, and more.